Alcoholism and drug addiction have 12 step programs, so why not flesh eating? 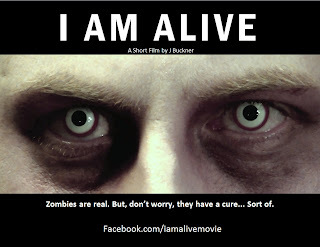 In “I Am Alive”, a group of recovering zombies meet under the guidance of a psychologist to talk about their guilt over eating strangers, friends, and even family members before being cured (up to a point, anyway) of their zombified condition. But there's also prejudice against the semi-living dead, as we see in interviews with survivors of the zombie plague who aren't ready to forgive and forget. This short film is based on a story by A.E. Steuve called “I, Zombie”. It's a good choice of material for a low/no budget filmmaker to adapt, and writer/director Justin Buckner follows his source fairly close. The biggest difference is one of tone; the film has a slightly more campy vibe to it. To some degree that's due to a few cast members over acting, but one gets the sense that's what Buckner wanted. The other notable difference is in the ending of the film. Neither film nor short story ends in a way I found wholly satisfying. Still, “I Am Alive” is a fairly entertaining short with decent production values and a cast that, while they may not be ready to run off to Hollywood, are still considerably better than what one usually finds in productions at this level. 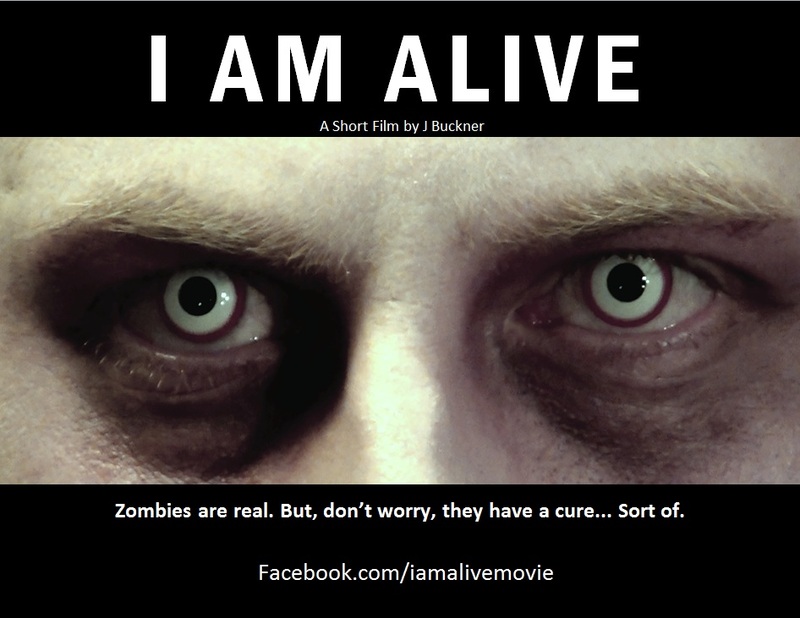 For more information visit https://www.facebook.com/iamalivemovie. 2 1/2 out of 4 stars. Sounds pretty clever. Glad, no doubt, that it's a short, though.